We started the day with a Thanksgiving day service at church. Our pastor always encourages people to share what they are thankful for. 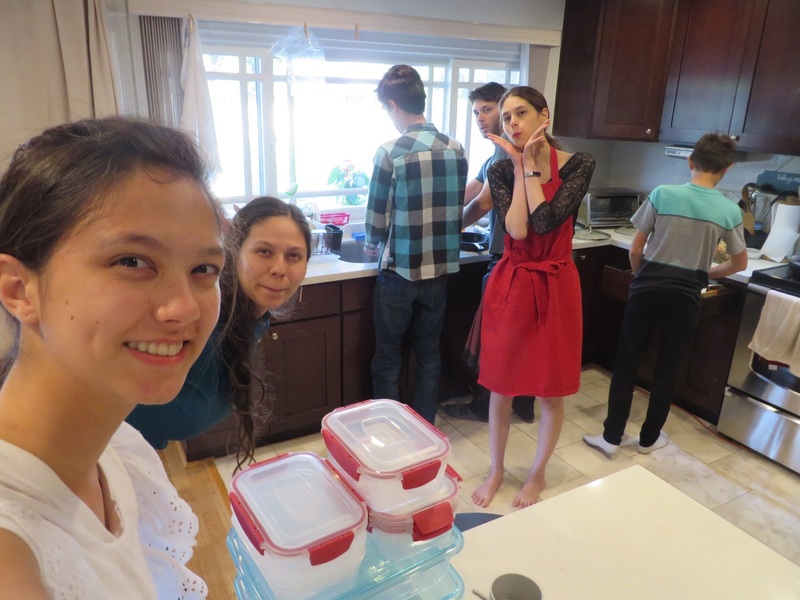 Then we came home and continued working on food preparations. 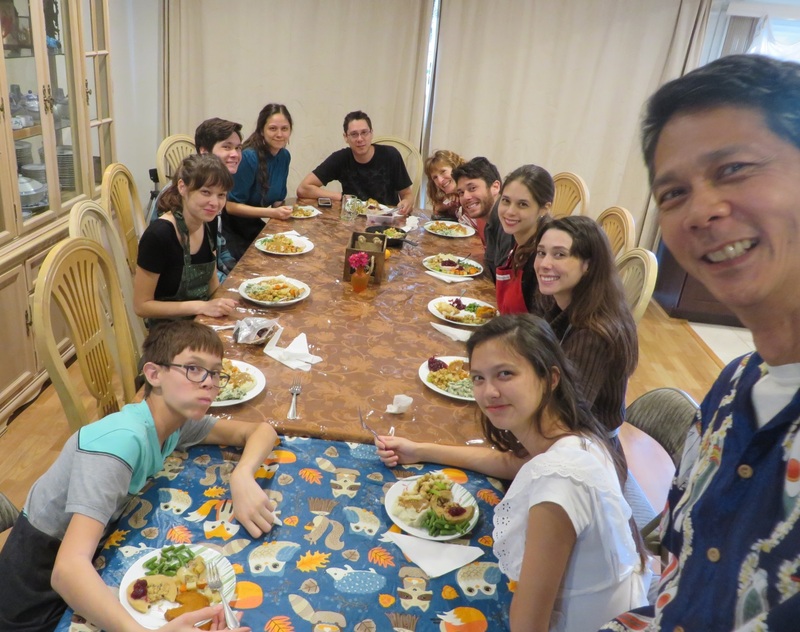 Early afternoon, we had our Thanksgiving dinner with the entire family. We prepared a small turkey breast for the meat eaters and a Tofurky roast and ham for the vegetarians. Plus we had real mashed potatoes, sweet potatoes, stuffing, green bean casserole, cranberry sauce, pumpkin and apple pies. Yum! Actually we were full so the pies are for later in the day. Here are Sarah, Victoria, Josiah, Lizzie, and Tim before the meal. Joanna and Jeri are finishing preparations. Sarah, Victoria, Josiah, Lizzie, and Tim (Joanna and Jeri at the counter behind). Click photo for full size. 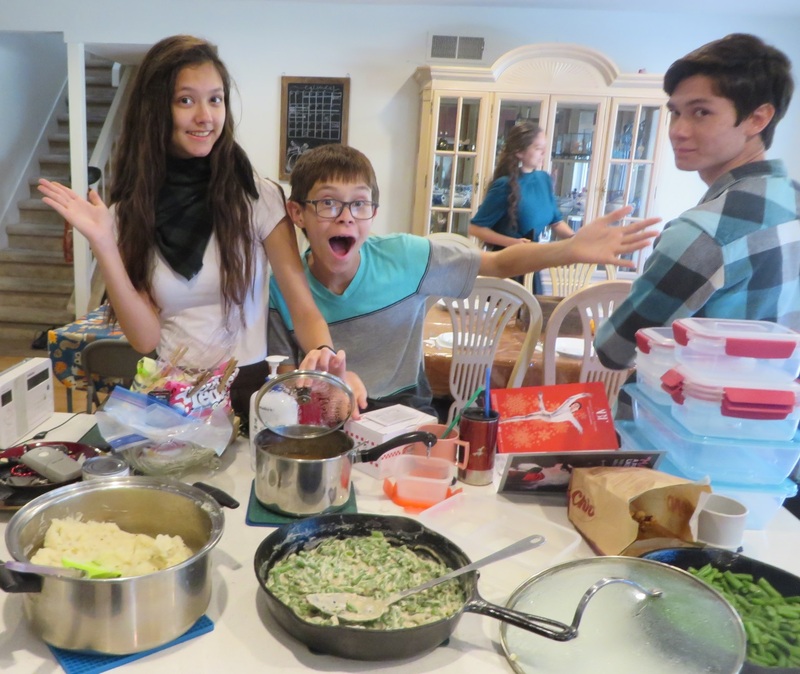 Lizzie, Josiah, and Jeffrey next to the (messy) counter. Lizzie, Josiah, and Jeffrey before the meal. Click photo for full size. Lizzie, Josiah, Nicole, and Jason before the meal. Victoria is seated at the table behind. 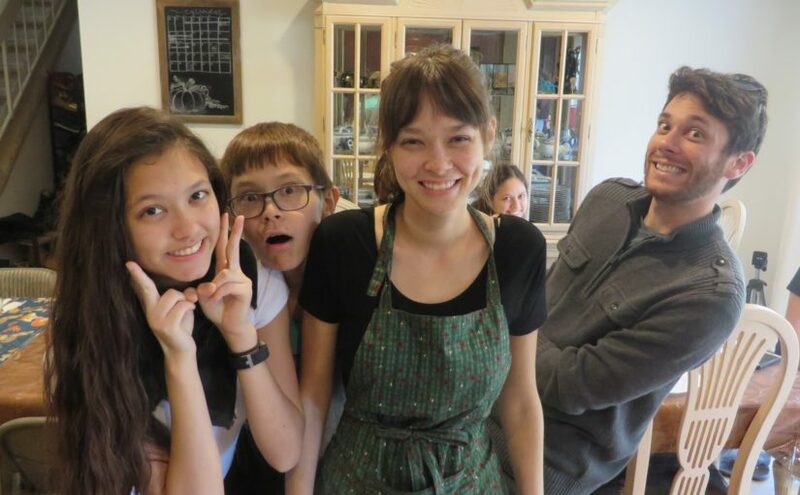 Lizzie, Josiah, Nicole, (Victoria), and Jason. Click photo for full size. 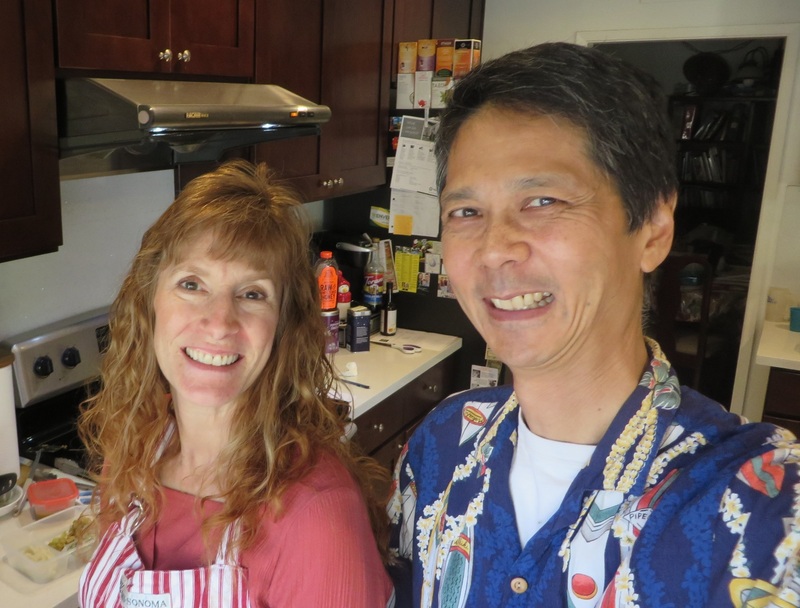 Jeri and Tim in the kitchen. 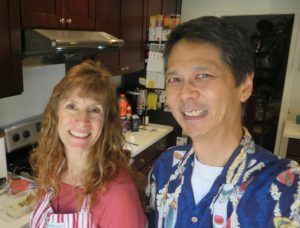 Jeri and Tim in the kitchen. Click photo for full size. 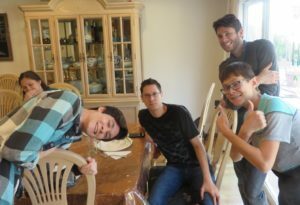 Here are the four brothers (plus Victoria): Jeffrey, Justin, Jason, and Josiah. Victoria, Jeffrey, Justin, Jason, and Josiah. Click photo for full size. 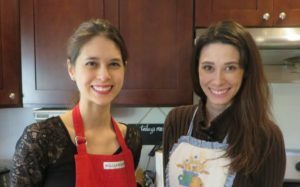 Joanna and Sarah working in the kitchen. Joanna and Sarah helping in the kitchen. Click photo for full size. 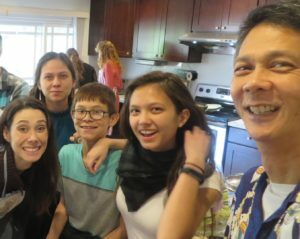 Here is the entire family around the table: Josiah, Nicole, Jeffrey, Victoria, Justin, Jeri, Jason, Joanna, Sarah, Lizzie, and Tim. Josiah, Nicole, Jeffrey, Victoria, Justin, Jeri, Jason, Joanna, Sarah, Lizzie, and Tim. Click photo for full size. Lizzie took a selfie while Jeffrey and Jason work on dishes. 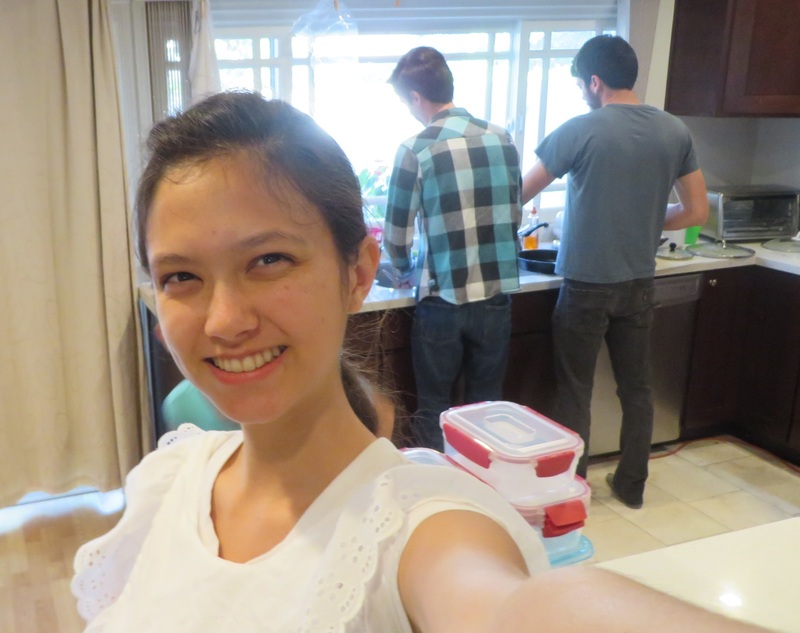 Selfie by Lizzie with Jeffrey and Jason doing dishes. Click photo for full size. Another selfie by Lizzie with Victoria, Jeffrey, Jason, Joanna, and Josiah after the meal. Lizzie, Victoria, Jeffrey, Jason, Joanna, and Josiah after the meal. Click photo for full size. Here is a montage of the photos. Very nice! A blessed Thanksgiving indeed!